The term Evangelical Catholic is used by Christians who consider themselves both "catholic" and "evangelical" (meaning "gospel-centered"). Evangelical catholic (catholic is the noun with evangelical modifying) can refer variously to: evangelical Protestant Christians who consider themselves catholic Christians that identify with the historic Christian Church, who believe that the early general councils and the Protestant Reformation were both part of the progressive illumination of the Holy Spirit; and members of the Catholic Church who, in continuity with the long tradition of the Church and empowered by Pope Benedict XVI's proclaimed New Evangelization, stress the centrality and salvific universality of the gospel of Jesus Christ and the necessity of proclaiming it. As used by the Catholic Church, the term evangelical Catholic refers to Catholics in full communion with the Holy See in Rome who exhibit, according to Alister McGrath, the four characteristics of evangelicalism. The first is a strong theological and devotional emphasis on the Christian scriptures. Secondly, evangelical Catholics stress the life, death, and resurrection of Jesus Christ as the cause of salvation for all mankind. A personal need for interior conversion is the third defining mark, and, consequently, the fourth is a deep commitment to evangelization. Evangelical Catholics see these evangelical emphases as the core of the 2,000-year tradition of Catholic Christianity. Evangelical preaching movements such as St. Dominic's, who was called the Vir Evangelicus (evangelical man), are a common point of reference. To Catholics, the term 'evangelical' refers to its etymological root—the Greek word euangelion—which means 'good news' or 'Gospel', not to Protestant Evangelicalism. To Catholics, being evangelical is understood in the context of the adherence to the dogmata and Sacred Tradition of the Catholic Church and in a Catholic interpretation of Scripture, and not in the doctrinal and ecclesiological upheavals of the Protestant Reformation. Increasingly, the Catholic Church is appropriating the evangelical witness of the recent popes and their encyclicals, especially Pope Paul VI's Evangelii nuntiandi (On Evangelization in the Modern World), John Paul II's Redemptoris missio (The Mission of the Redeemer), and the Congregation for the Doctrine of the Faith's Declaration Dominus Iesus (The Lord Jesus), for which Benedict XVI was primarily responsible, when he was Prefect of the Congregation. New bibles, catechetical materials, youth ministry programs, and young adult ministries witness to greater evangelical zeal within the Church. Campus ministry and parish ministry are focusing more of their resources on outreach (pre-evangelization and evangelization). A Catholic organization called the Evangelical Catholic exists for the purpose of equipping Catholic ministries to be evangelical. In Greenville, South Carolina, a Catholic organization called the Center for Evangelical Catholicism exists for the purpose of spreading the New Evangelization in Catholic parishes and schools across the United States. Since the call to evangelization is so integral to the Catholic faith and solidly attested to in ecumenical councils, the writings of the Church Fathers, and papal teaching, Father Richard John Neuhaus looked for the day when the term 'evangelical Catholic' was no longer necessary - when identifying as 'Catholic' implied active evangelization so strongly that the addition of 'evangelical' was unnecessary. ...one holy Church is to continue forever. The Church is the congregation of saints, in which the Gospel is rightly taught and the Sacraments are rightly administered. In Lutheranism, the term evangelical catholic has a specific meaning. Lutheran Protestantism differs historically from most other kinds of Protestantism in that Lutheranism is the only historical Protestant denomination that confesses belief in the efficacy of the sacraments: regeneration in Holy Baptism, Confession as the sacrament of Absolution, and the Real Presence of Christ in Holy Eucharist. In Anglicanism there has also been a sacramentalism similar to that in orthodox Lutheranism, especially in the high church movement. The Book of Concord states, contrary to "Enthusiast" belief, that salvation can be received only through the means of grace: God's Word and sacraments. The Augsburg Confession stresses that "in doctrine and ceremonies nothing has been received on our part against Scripture or the Catholic Church." Article XXIV of the Augsburg Confession "Of the Mass" states: "Falsely are our churches accused of abolishing the Mass; for the Mass is retained among us, and celebrated with the highest reverence." Some Lutheran church bodies claim to also have retained the historical episcopate and apostolic succession. In early Lutheranism, the Gnesio-Lutherans compiled the first modern critical history of the world, the Magdeburg Centuries, to show that the Lutheran Church was a continuation of the Christian Church throughout its history, though stripped of abuses originating from the pope. Gnesio-Lutherans like Joachim Westphal and Andreas Musculus had a 'high' understanding of the sacraments, and therefore were strongly opposed to any compromise with Calvinism and Zwingliism, as well as with Roman Catholic doctrine. In the era of Lutheran orthodoxy, theologians Martin Chemnitz and Johann Gerhard (especially in his Confessio Catholica) made extensive use of patristic sources. 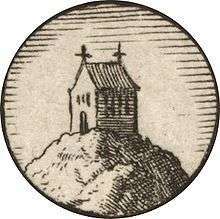 They saw the continuity of the pre-Reformation Church in Lutheranism, which they understood not as a re-formation of the Church, but rather a renewal movement within and for the Christian Church, from which the Roman Church did truly represent. The evangelical feature of Lutheranism is justification by faith, as defined by Law and Gospel and simul iustus et peccator. The term evangelical has a different origin and meaning in Lutheranism than in "Evangelicalism". (In German, there is a difference between evangelisch and evangelikal; in Swedish, there is a corresponding difference between "evangelisk" and "evangelikal"). In the Lutheran tradition, evangelical (evangelisch) refers to the gospel, with the specific meaning of "grace centered". The opposite of evangelical is not "catholic" or "liberal", but legalistic. In the 19th century, "Evangelical Catholicism" was seen as a vision for the Church of the future. The term was used by Lutherans such as Ernst Ludwig von Gerlach and Heinrich Leo within the post-Prussian Union church in Germany who were inspired by the church of the Middle Ages, and by neo-Lutheran Friedrich Julius Stahl. The term Evangelical Catholic is often used today instead of the term "High Church Lutheranism" because it is a theological term. It is comparable to the term "Anglo-Catholic" within Anglicanism. Evangelical Catholic Lutheranism is not strictly defined, and can mean, for example, the theologically, biblically, and socially conservative ultra-high church Lutheranism of the strongly Roman Catholic-oriented Anglo-Lutheran Catholic Church and the more Eastern Orthodox-oriented Evangelical Catholic Church, those within the Confessional Lutheran movement who follow the late Arthur Carl Piepkorn, the Evangelical Catholic Orthodoxy of Gunnar Rosendal, the more theologically liberal high ecclesiology of Carl Braaten, the very liberal Evangelical Catholicity of Nathan Söderblom, or even the more liberal Catholicism of Friedrich Heiler, and the ecumenical vision of Hans Asmussen and Max Lackmann. In 1976 Joseph Ratzinger, later Pope Benedict XVI, suggested that the Augsburg Confession might be possible to recognise as a Catholic statement of faith. This did not happen due to differences in understanding of the theology on justification. The Evangelical Lutheran Church in Canada defines its doctrinal basis as such: "We derive our teachings from the Holy Scriptures and confess the three ecumenical creeds of the Christian church. We hold to orthodox catholic theology as enunciated in the ecumenical councils of the first five centuries of Christianity." Some small "Evangelical Catholic" church bodies include the Evangelical Catholic Church, Anglo-Lutheran Catholic Church, Lutheran Church-International and the Lutheran Episcopal Communion. The Nordic Catholic Church in Norway has roots in High Church Lutheranism. In recent years, the term Evangelical Catholic, has been adopted by high church elements of the Methodist and Reformed Churches. This is especially apt among the Reformed, given that one of the older documented uses of the term is by John Williamson Nevin and Philip Schaff, during their efforts (from roughly 1841 forward) to repristinate the theology of the German Reformed Church in the United States. In 1849 the Mercersburg Review was founded as the organ of their "Mercersburg Theology". Beginning in 1851, William Augustus Mühlenberg, the Protestant Episcopal clergyman of Lutheran background, and father of the Ritualist movement in the Protestant Episcopal Church in the United States of America, also published a periodical called "The Evangelical Catholic." Muhlenberg's vision has influenced the Reformed Episcopal Church and Free Church of England. Already earlier, there was an evangelical revival in the Roman Catholic Church in Germany, involving Boos, Gossner and Feneberg. This evangelical revivalist movement also spread to German Lutheranism. The Lusitanian Catholic Apostolic Evangelical Church in Portugal has its origins in the Old Catholic movement of the 19th century. Today it belongs to the Anglican Communion. In England, Ulric Vernon Herford (1866–1938), Mar Jacobus, Bishop of Mercia & Middelesex, founded The Evangelical Catholic Communion. His succession line was brought to the United States in the 1960s and continues in The Syro-Chaldean Church of North America. As such, according to one viewpoint, for those who "belong to the Church," the term Methodist Catholic, or Presbyterian Catholic, or Baptist Catholic, is as proper as the term Roman Catholic. It simply means that body of Christian believers over the world who agree in their religious views, and accept the same ecclesiastical forms. At the end of 20th century the Convergence Movement has formed some new church bodies, like the Charismatic Episcopal Church. One of the new Catholic Evangelical churches is the King's Family of Churches. It governs by an episcopal polity, embraces the Charismatic renewal, use different liturgical versions in worship, both Anglican and Lutheran, and has a strong focus in missions and church planting according to its mission statement. ↑ Grennan Gary, Heather (2010-04-21). "We've got Spirit! Learning from evangelicals". 75 (5). USCatholic.org: 24–28. Retrieved 2013-08-06. ↑ "Providing Catholic Leaders Training and Materials for Catholic Evangelization". The Evangelical Catholic. The Evangelical Catholic. 2012. Retrieved 2013-08-06. ↑ Evangelicals and Catholics Together: Toward a Common Mission, Thomas Nelson, 1995, ISBN 0-8499-3860-0. 1 2 Dulles, Avery (October 1983). "The Catholicity of the Augsburg Confession". The Journal of Religion. 63 (4): 337–354. doi:10.1086/487060. JSTOR 1203403. ↑ Stahl, Friedrich Julius (September 1857). Evangelische Katholizität -Die Verhandlungen des neunten evangelischen Kirchentages zu Stuttgart (in German). Berlin. pp. 45–63. ↑ Fahlbusch, Erwin, ed. (1999). "Evangelical Catholicity". The Encyclopedia of Christianity. 2. Wm. B. Eerdmans Publishing. p. 213. ISBN 90-04-11695-8. ↑ "About the ELIC". Evangelical Lutheran Church in Canada. 2007. ↑ Giles, Jr., George C. (1984). History of the Church of the Ascension, Chicago, Illinois 1857-1982. Aberdeen, South Dakota: North Plains Press. ISBN 9780879701901. 1 2 3 "Harper's new monthly magazine". 37 (219). Harper's Magazine Co. August 1868: 422. Retrieved 2007-03-25. The various Protestant sects can not constitute one church because they have no intercommunion...each Protestant Church, whether Methodist or Baptist or whatever, is in perfect communion with itself everywhere as the Roman Catholic; and in this respect, consequently, the Roman Catholic has no advantage or superiority, except in the point of numbers. As a further necessary consequence, it is plain that the Roman Church is no more Catholic in any sense than a Methodist or a Baptist. ↑ "The Kings Church". Evangelical Episcopal Church. Retrieved 6 August 2013. Braaten, Carl E. and Robert W. Jenson, editors: The Catholicity of the Reformation (Grand Rapids: William B. Eerdmans, 1996). Brodd, Sven-Erik: Evangelisk katolicitet. Ett studium av innehall och funktion under 1800- och 1900-talet. GWK Gleerup, Uppsala 1982. Edwards, Mark Thomas: The Right of the Protestant Left: God's Totalitarianism (Palgrave Macmillan, 2012), discusses Evangelical Catholicism among mainline and liberal Protestants during the twentieth century. Lackman, Max: Katholische Einheit und Augsburger Konfession (Graz, 1960). Lindbeck, George A.: “Ecumenical Directions and Confessional Construals,” dialog 30 (1991), 118–23. Pelikan, Jaroslav: Obedient Rebels. Catholic Substance and Protestant Principle in Luther’s Reformation (New York and Evanston: Harper and Row, 1964). Scaer, David P. "Evangelical and Catholic — A Slogan in Search of a Definition". Concordia Theological Quarterly 65:4, October 2001. Swidler, Leonard. "The Ecumenical Vanguard: The History of the Una Sancta Movement". Duquesne University Press, 1966.